Orange has announced it is to introduce HD voice on its 3G network later this summer. The company is currently trialling the service in Bristol, Reading and Southampton. The service will be free to Orange customers with compatible handsets. We popped along to Orange's flagship Bristol store this morning to give it a go and were pleasantly surprised at how it filters out background sound and provides crystal clear voice quality. Indeed, it seems as though it has a similar quality of voice to that on a DAB radio. Certainly, any tinniness is removed. 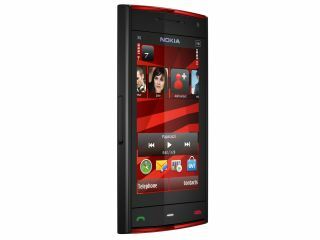 We were first called over 'normal' handsets so we had something for comparison before a call was made between two Nokia X6 handsets equipped with special software. "It's an open standard," said Andrew Warner, Head of Voice and Messaging Products at Orange as he talked to TechRadar about the demo. "Other networks will use it, but we'll be first in the UK." Warner told us that "we shouldn't take anything from" the fact the demo was on the X6, as he said he expected "all handset manufacturers to look at it within the next 18 months". Warner added that HD Voice would require fully compatible handsets. Despite being a software update rather than anything to do with hardware, Warner adds that due to "being buried deep within the stack", HD Voice won't be offered as an over-the-air upgrade to existing handsets "for the moment". HD Voice offers about twice the speech bandwidth of 50–7,000Hz compared to the current narrowband speech codec of 300–3,400Hz. However, it doesn't take up any additional space on the network due to a more efficient codec - the WB-AMR (Wideband Adaptive Multi-Rate) speech codec. This is especially important as bandwidth is under ever more pressure due to increased data use. "There's no point in making things better for some customers, if [it's not so good] for others," Warner confirmed. The UK trial builds on the launch of the service by Orange in Moldova, where it has become the first operator in the world to offer the service. Warner told us that Orange had experimented there because it was a brand new network. Orange says it will announce further details about the rollout in due course.